Sony recently announced that its robotic dog Aibo is back from the dead and will hit Japan early next year. 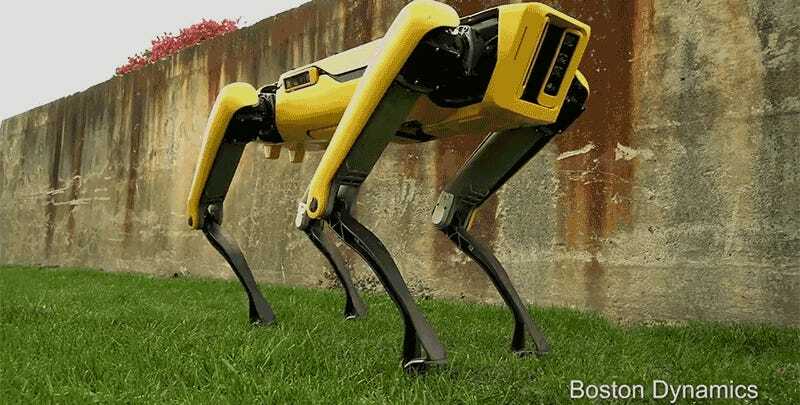 But even a $1,700 robot toy can’t compare to the amazingly fluid motions of Boston Dynamics’ new and improved SpotMini, which looks like a genuine (yet still pretty frightening) replacement for your loyal golden retriever. 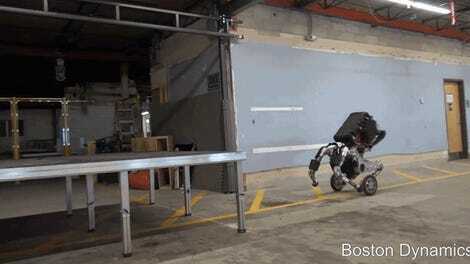 Google sold Boston Dynamics to Softbank earlier this year. 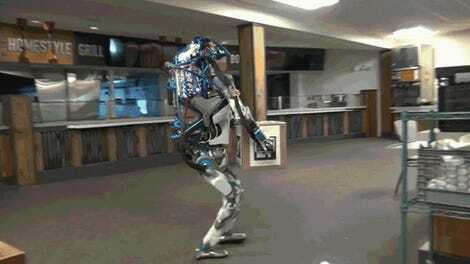 Now that the investor owns Boston Dynamics and is footing the bill for all of the robotic lab’s creations, apparently the company can afford to wrap its bots in slick plastic housings so they look a little less like Terminators ready to extinguish humanity, and more like man’s best battery-powered friend. The last time we saw SpotMini was the original reveal back in 2016, where it had a fifth limb that served as a head and neck, or an arm, depending on what the situation called for. The new model appears to skip a head altogether, but since this is just a teaser of the bot, with Boston Dynamics promising a bigger reveal later, the final design might still feature modular functionality that can be added and removed as needed.